Monpolymet Group has been operating for 26 years and is still doing rehabilitation work. The Company organizes demonstration based trainings for rehabilitation by involving government and non-government organizations, similar organizations and academic researchers and students. 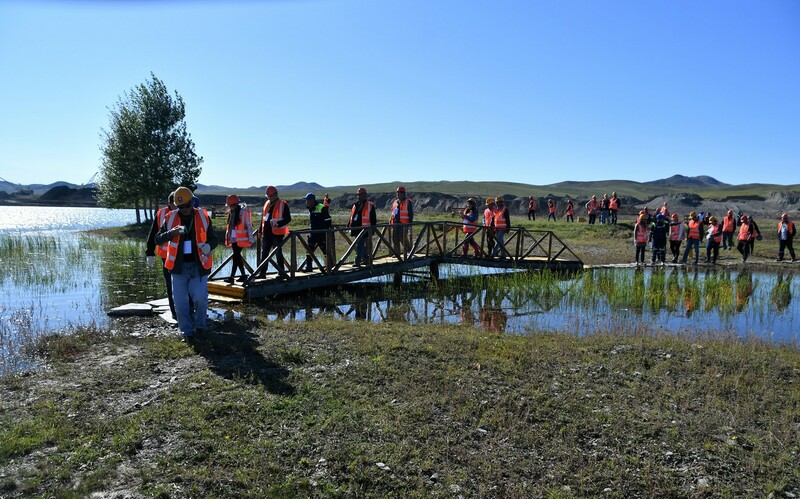 This year, the "Professional Mining and Environment" training was conducted for the fourth time at the Toson mine rehabilitation camp in Zaamar soum of Tuv aimag. 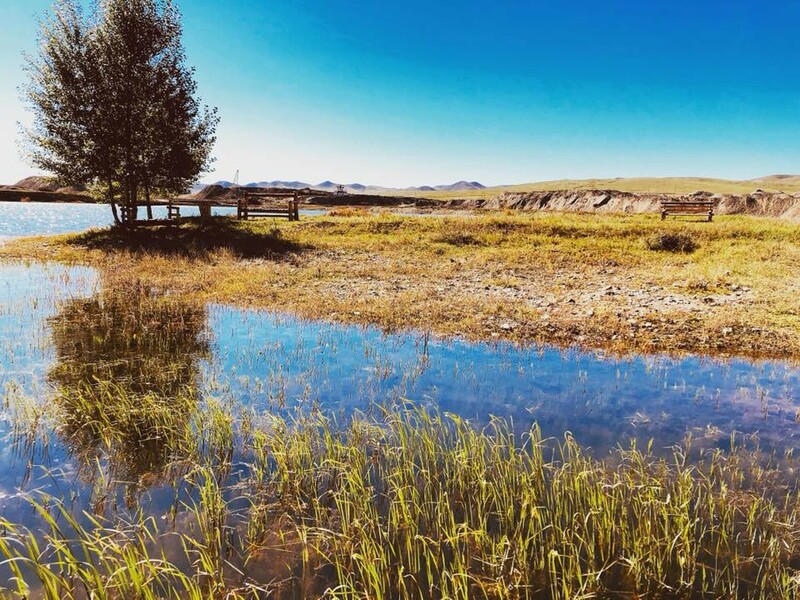 It's the first time in Mongolia, 16 hectare area has been used to create the freshwater Toson lake with a variety of fish and birds, and pure rotation water, submitted to Buregkhangai soums of Bulgan aimag and registered in Mongolia's state registration in 2011. Then in 2014, the 700 m long area of Toson lake was built by rocks for the purpose of tourism. The Toson lake beach is gardened for leisure and fishing purposes and facilitated by eco-solutions of wooden shelters, rock sidewalks, wooden chairs and desks. The Toson factory planted 80 thousands of trees in 235 hectare area. The factory has planted over 80,000 trees in 235 hectares of biological rehabilitation area, and has created forest with trees up to 14 years old on the 5.5 kilometers long area. For example, bushes such as Caragana arborescens, elm, aspen, sea buckthorn and bird cherry tree are often planted. The planted trees are now grown and form a forested tree. Thus, reforestation will help to stabilize soil, increase fertility biomass and plant species, and create favorable conditions for other plants. In addition, it firstly started the reforestation by producing a Biochar soil block and planting trees on the bomb in the mining sector on the coopeation with the Innovation Development Center of the University of Life sciences. The Biochar soil block are directed towards the bottom of the root crop and the roots are ground-based, creating the right composition of the soil and improving the ability to live. In addition, the Drip Irrigation System was introduced in Mongolia for the first time in cooperation with the "Nyamkyang" company of the South Korea. The use of the system has greatly increased the growth of the tree. Currently, 45 hectares are facilitated by the irrigation system. The Toson factory has been rehabilitated in 931.67 hectare area and the 743 hectares, which is 80 per cent of the area, used the technical rehabilitations. This is a soil-leveling process in the mined area. But the biological rehabilitation or re-plantation is currently being completed at more than 514 hectares, which is the 60 percent of the area used. The factory has spent 14 billion MNT on rehabilitation work. The rehabilitation for per hectare are needs approximately 16 million MNT. Rehabilitated area has become pasture for livestock. 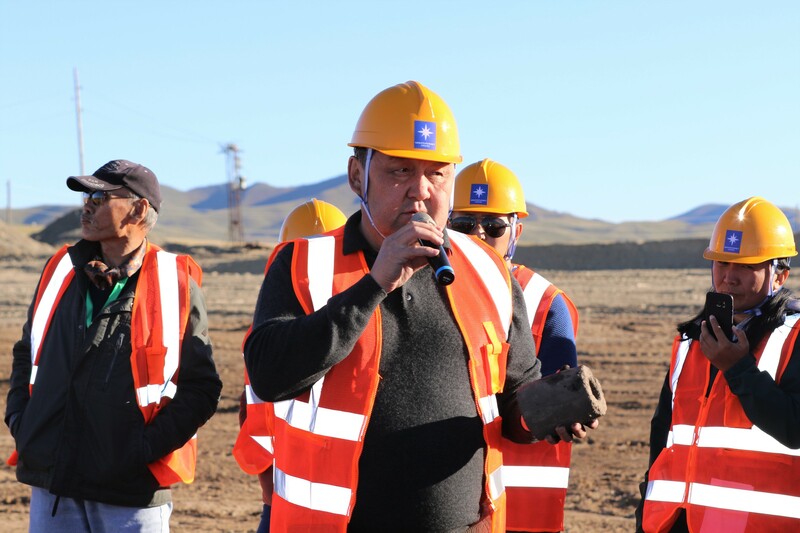 At the start of the demonstration based training, T.Oktiyabri, the head of the Environment office of the Monpolymet Group, introduced the tree nursery field, which was established in 2007 near the Toson factory. There are six types of trees and shrubs grown in this tree nursery field. For example, bushes such as Caragana arborescens, elm, aspen, sea buckthorn and bird cherry tree are often planted. The trees planted in the greenhouse for two years and then release them to the rehabilitation area from the third year. There made also a rare plant growing field next to it. The plants named Altai wild herbs, which are considered very rare in the red book of Mongolia, are planted in this area. After that, we visited the field where the perennial plants are grown. Currently, there are over 120 types of pasture crops in 200 hectares of land. When visiting the field, the plants planted in this area were already in its original shape and can not be identified. Like there is no mining site and rehabilitated area. It was possible to look at the rehabilitation by observing the location of the planted plants. 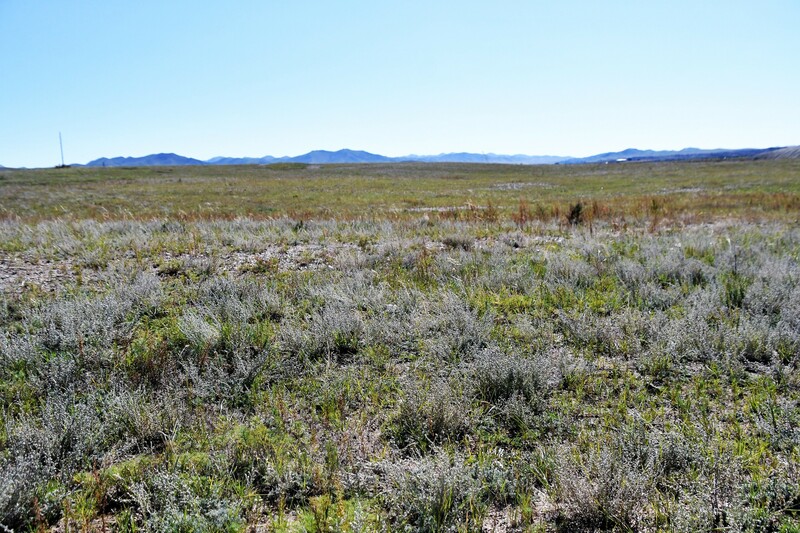 The plants on the rehabilitated area has been growing densely year after year, and became a pasture for livestock. 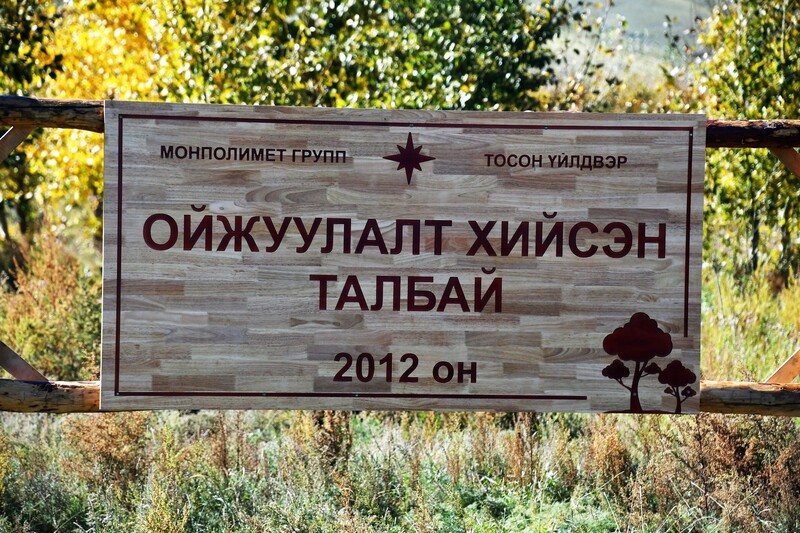 Then visited the fields forested by planting trees in 2011-2012. Mining operation was conducted on that site in 2010 and after the biological rehabilitation and reforestation are performed on the site. On the reforestation site, seven-year-old trees are grown 4-5 m long. There are totally 12-15 types of trees and bushes planted. 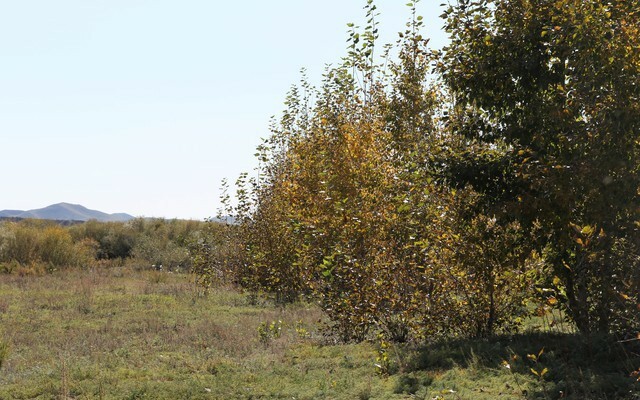 But there are some difficulties such as herders send their livestocks to the rehabilitation area and worms eats the planted trees and plants, said T. Oktiyabr, head of the Environment department of the Monpolymet Group. In the past year, trees have been destroyed due to reforestation area was eaten by worms. In that time, T.Batbayar, the Minister of Nature, Environment and Tourism and who met with the rehabilitation work of the Toson factory, said that "Government Resolution No. 151 approved last year was the decision to support artisanal miners. It must be well arranged. Artisanal miners re-dig the rehabilitated area again. Avoid this. It brought the necessity to spend 100 billion MNT for rehabilitation at the national level. Therefore, it is important to implement and enforce the procedures for managing the mined land. I am pleased to see the rehabilitated area of the Toson factory. I wish if mining companies consider it as the good example. Finally I visited the Dredge technology . There about 50 employees are working in this plant. When N.Munkhsoyol, the chairman of the First Dredge technology unit of the Toson factory of the Monpolymet group, introduces the factory, he said as "Dredge technology is considered as the best technology for gold mining. It is possible to use the Dredge technology only in Zaamar mine. Dredge technology is a harmless and eco-friendly technology in nature." The plant is operated according to law and is located in the proper distance from the river. The river will not be contaminated because it operates as floating on the water created by itself. 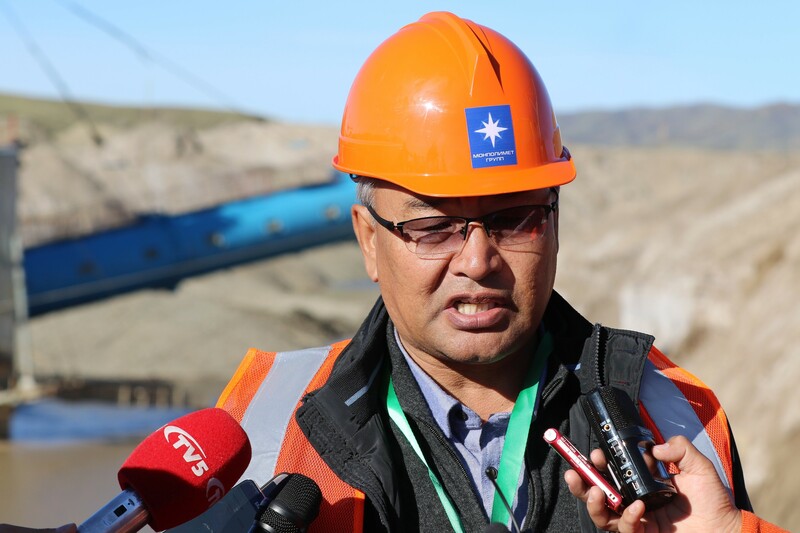 But Ch.Tsogtbaatar, the senior expert of the Mining Management Authority, who visited the Dredge technology factory, said as "I was visiting the Toson factory when it firstly commissioned. I see that Monpolymet LLC is working very well with its legal obligations. Recently, talking about that responsible mining will be developed. However, illegal gold miners are pulling down the reputation of mining sector and making irresponsible acts. There is a need to take action on this. It is a good job to restore the area used for mining to make it a profitable area." said. 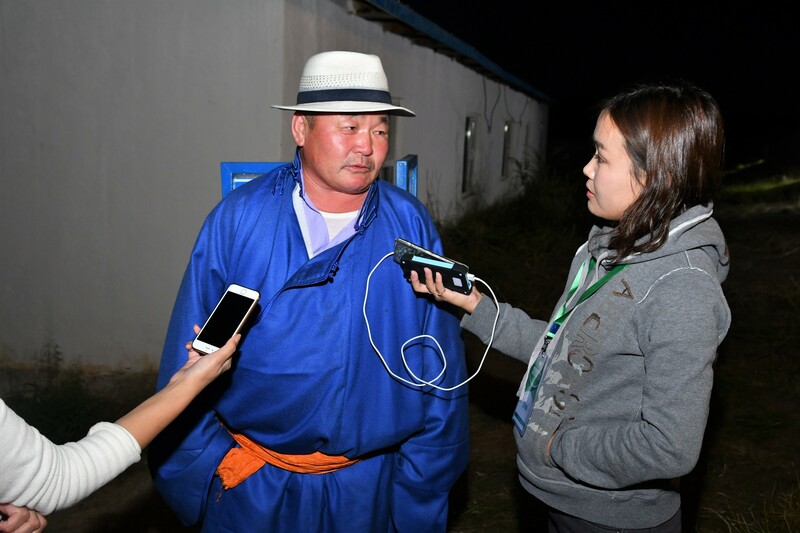 At the end of the training, I met S.Erdenetsogt, citizen of the 1st bagh of Zaamar soum of Tuv aimag to listen the situation and opinions of herder communities living near the Toson factory. He said: "There are many small mines are operating illegally here. They are doing very poor rehabilitation. Large mines do relatively well in regards to social responsibility. Due to large mining operations, the death number of animals fell into hole is relatively small. But small mines do not implement rehabilitation and therefore death number of livestocks fell into holes is increased. Small mines are missing out when inspection comes. They usually operate in evening or night time. They leave holes open. Herders are opposed to this. Area near Toson river is diverse. Because the rehabilitated area of the big mines has been re-digged and abandoned. Also recently, those looking for rehabilitated sites comes and re-dig the area" and he was complaining about the illegal gold mining company. Creating comfortable conditions in mined area for people to live and work is not a one-day job. Of course, it is the hard work, diligence and strength of many people. That's why, the colleagues of the Toson factory said that they work hard every day to protect its rehabilitated area like caring a lot of children, lovingly protecting the land where they were restored and working hard every day. Indeed, by their hard work for long term, the rehabilitated area became like as natural, where many of trees, shrubs, flowers and fruits, but also people and animals.